Whether you are an individual real estate agent, a real estate team or a brokerage that is looking to go to the next level, we have a coaching program for you! We offer One on One, virtual and group coaching to fit all needs and budgets. Let us help you on your path to fulfilling your full potential! Are you lacking quality leads? Do you feel like if you got in front of more people that needed what you offer, you could close them? No matter what industry you're in, our Marketing Department can help you do just that! Let us do what we do best so you can do what you do best. 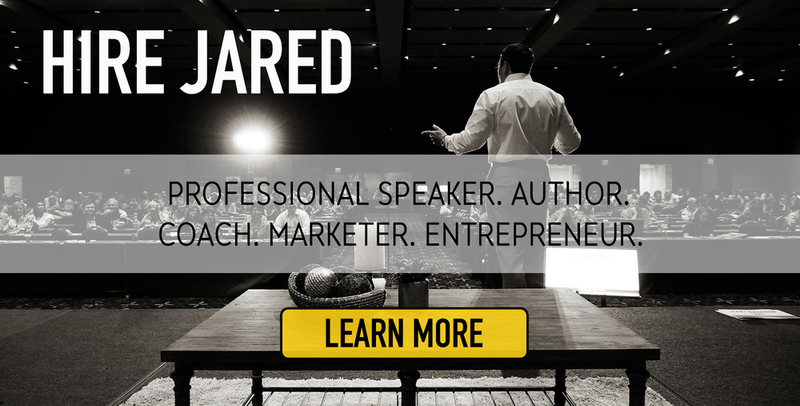 If you are looking to hire one of the most in-demand speakers out there for your upcoming event, want to apply to be at our next mastermind elite group or just want to check to see when Jared will be on tour in your area, then check out our options under Speaking & Live Events! WANT JARED TO SPEAK AT YOUR NEXT EVENT?